All Star RV where Family Fun is #1! 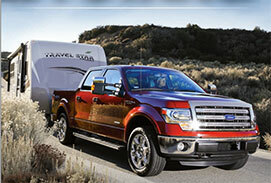 We have an RV for every lifestyle – everything from tent trailers right up to big toy haulers. At All Star RV we price the RV’s right the first time so you don’t have to worry about haggling or negotiating. Our friendly and professional sales staff is here to make sure they help you choose the perfect RV for you and your family. And since families are important to us, we have a fun playroom with movies, toys and games the keep the kids occupied while Mom and Dad shop for an RV. We are affiliated with 12 dealerships located in Alberta and British Columbia run by people who are passionate about their products and the people who buy them. We provide not only an excellent product to suit every area of your needs but we also provide excellence in customer services. Our customers are like our family. Come and see why All Star RV is …….. A Fun Place to Be!